Hold the Option key down as you press Return! That’s it. So now you can write text messages such as the one below. 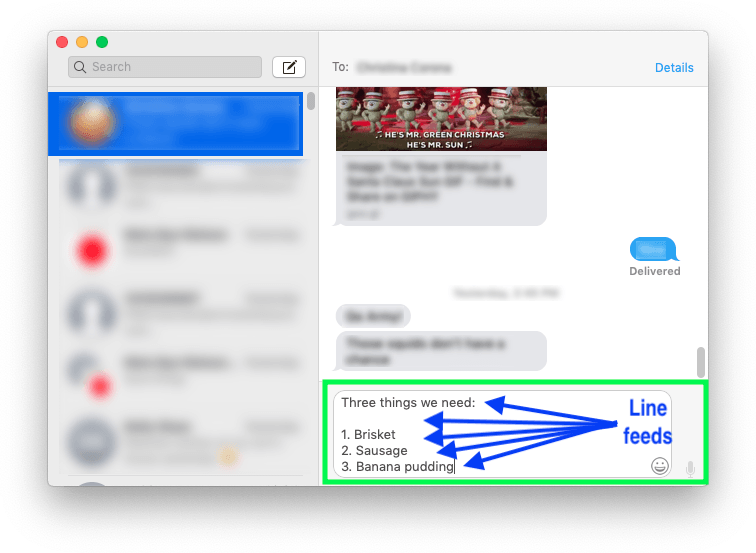 Message with line feeds, ready to be sent. Tap Return (without the Option key) to send it. Check out my Option Key series of articles at christianboyce.com for more Mac Option key fun.